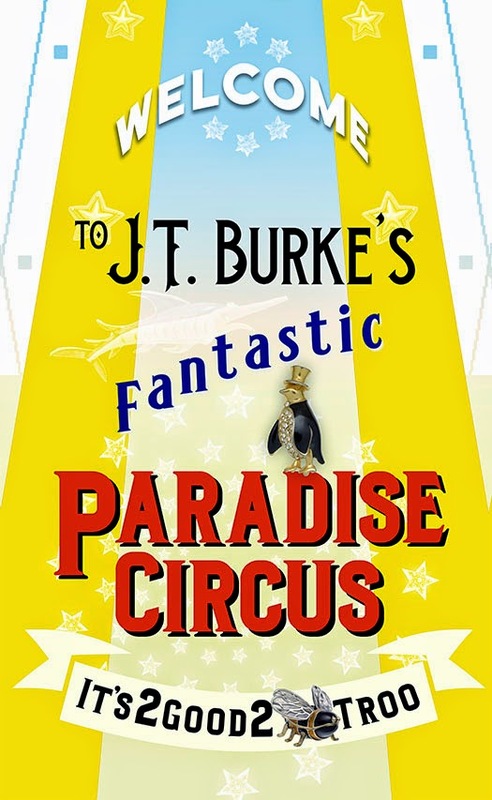 The Paradise Circus is a mash-up of confession booth, cathedral steeple and circus tent. At least, that's my intention. 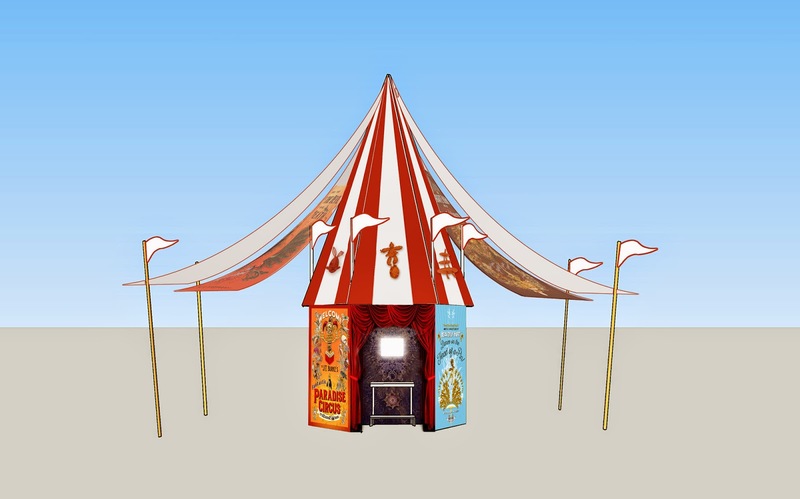 The structure is designed so that the roof is very tall, resembling a church steeple but with all the eye-catching merriment of a circus or carnival. The steeple exteriors are mostly complete as I write this. 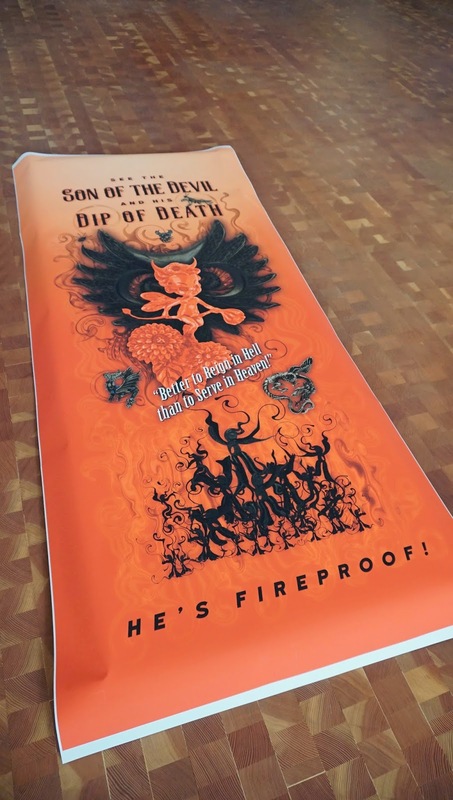 Attached to the peak of the steeple will be canvas banners with images advertising more of the make-believe circus acts. My favorites so far: "The Four Horsemen – Together! See them leap the Burning Bush" and "Heretics Burned Daily!" Follow along with me and the team for the next 50 days by bookmarking this blog or following us on Facebook as we produce this project right up to opening night. And please join us at the Los Angeles Convention Center January 14-18 to see and experience the completed Circus. 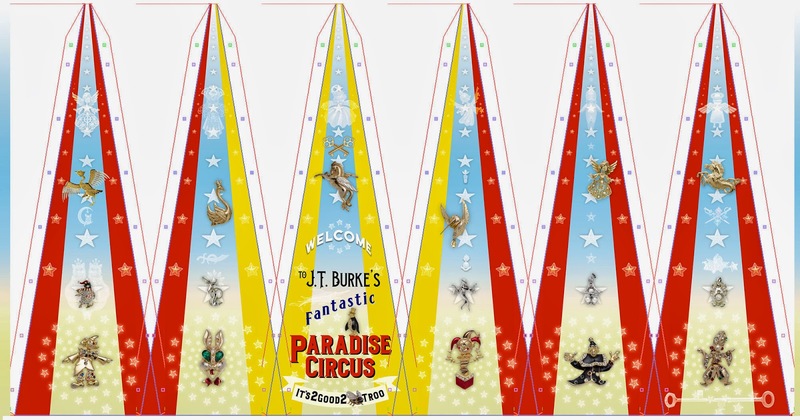 The loudest, most fun and colorful part of the Paradise Circus installation are the posters covering the exterior. Circus acts including Jezebel the Holy Cow, Karmi the Hirsute Hindoo and Jinn and her 72 Flying Virgins are advertised from the walls. 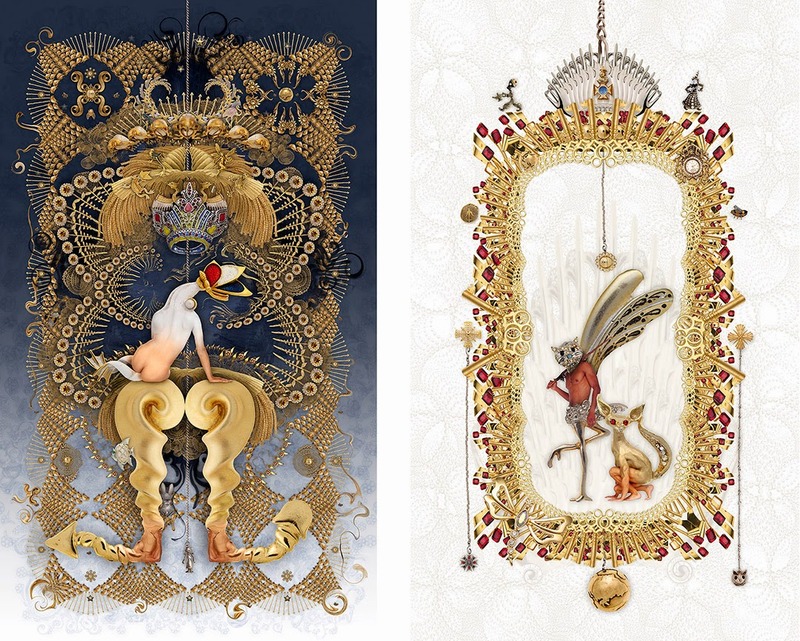 The themes are an irreverent poke at traditional mythology. I created the make-believe concepts using inspirations from Paradise Lost, the Book of Revelations, Richard Dawkins, Taschen's large tomes The Circus and Magic, the art of Danté, Hieronymus Bosch, early 20th century poster art, and as always, Dr. Seuss. 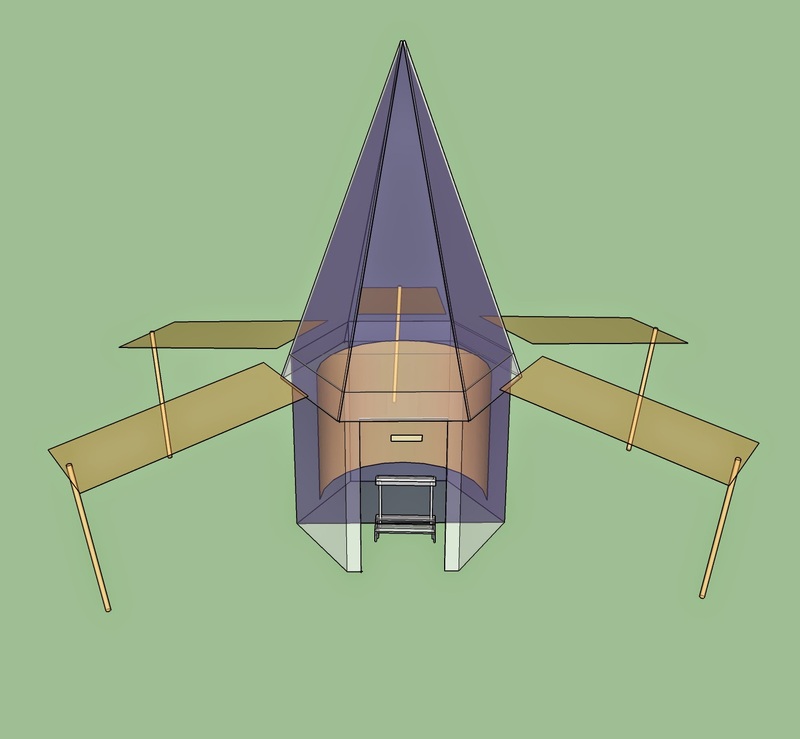 As I write this, the exterior art designs are mostly complete. I just printed the first panel at full size onto the wallpaper material, more to print soon. "Angels, Angels, Angels. Watch a multitude of Heavenly Host all Dance on the Head of a Pin. How do they do it?Featuring the Four Choirs of Angels arrayed in all nine orders.Try to Count them all!" "See the Son of the Devil and his Dip of Death. 'Better to Reign in Hell than to Serve in Heaven. 'He's Fireproof!" "You deserve to see The Amazing Jinn and her 72 Flying Virgins"
"Direct from the OrientKarmi the Hirsuite Hindoo and his Amazing Act of Reincarnation. 'There's Always Another Chance'." "Alive! Often Mentioned but Rarely SeenJezebelle the Holy Cow.A Blessed Bovine of Prodigious Proportion. On January 14th I'll present my first ever, three-dimensional installation at the LA Art Show. 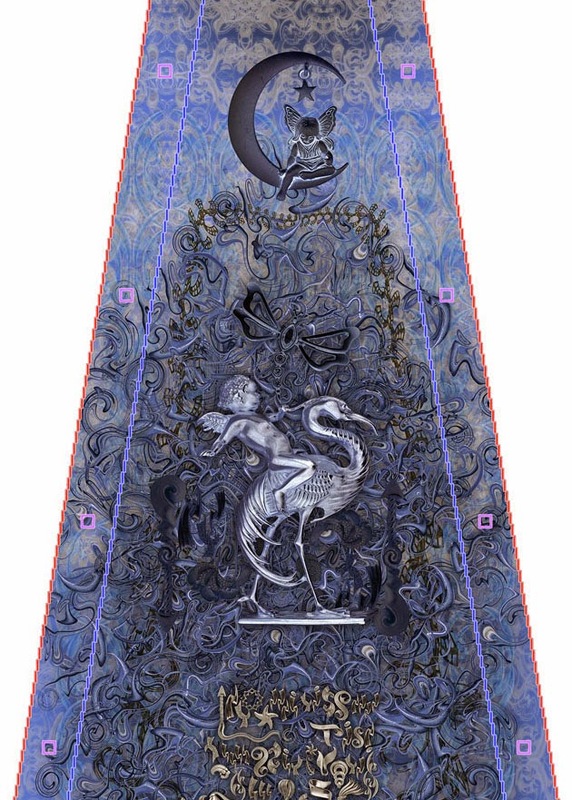 My particular style of jewelry-inspired 2-D compositions will clad all the sides of a 16' tall, sheet metal and canvas structure that I've designed. 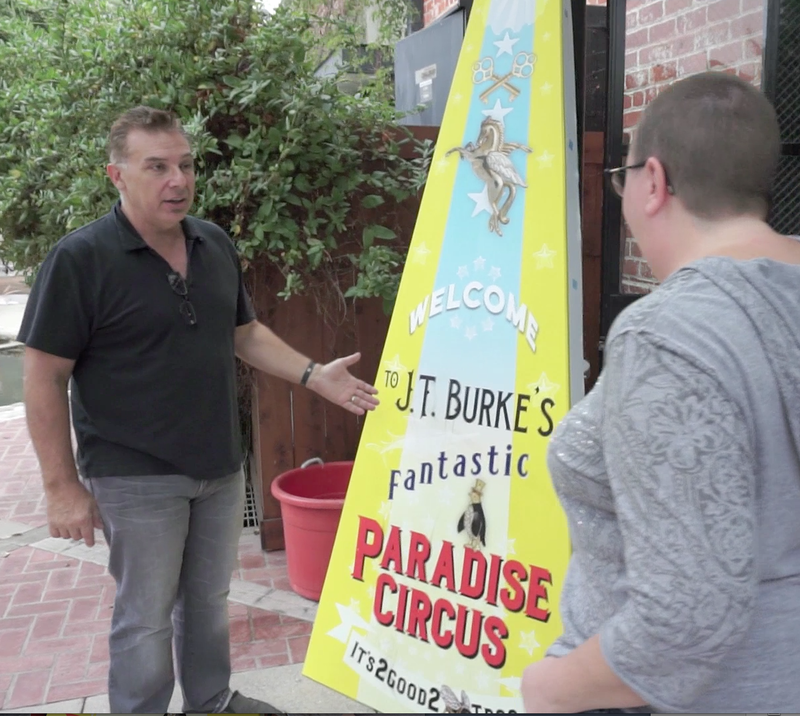 The project is titled The Paradise Circus, Los Angeles 2015. 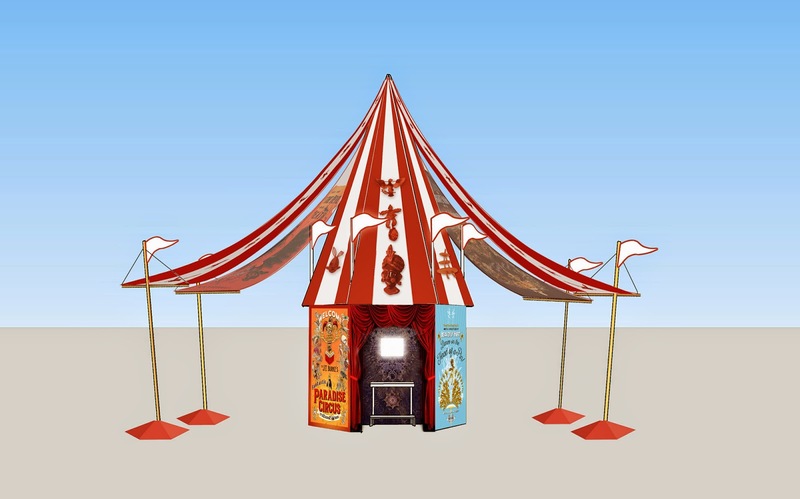 The Circus, as I proposed it last summer, is a physical and conceptual mash-up of confession booth, cathedral steeple and big top tent. 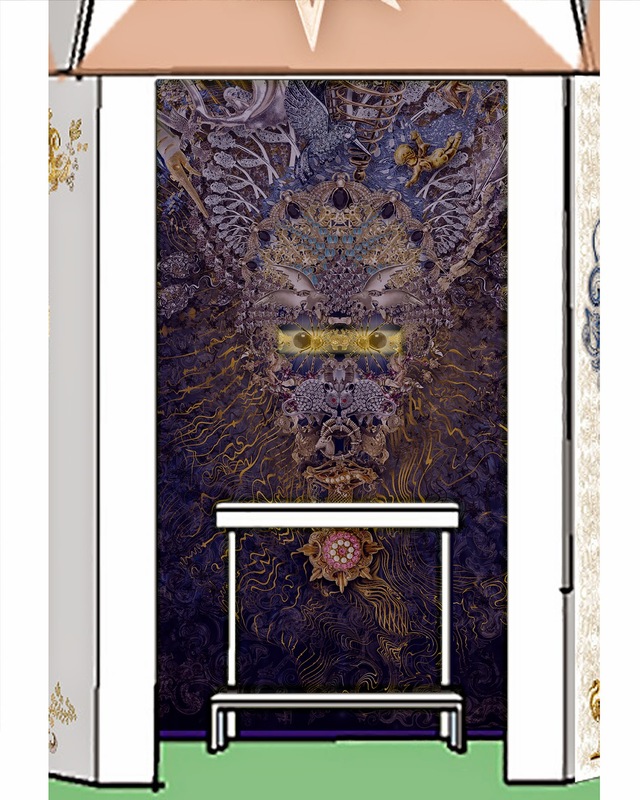 The exterior of the structure will be covered with circus posters announcing religious-themed acts, presenting canonical mythology as entertainment spectacle. It's a lighthearted lampoon of traditional orthodoxies and a comparison of doctrinal storytelling with carnival merriment. The interior of The Circus will be darker, featuring symbols, characters and runes of unknown origin in a foreboding environment. A large, imposing face greets you at the entrance (could that be St. Peter, Ridwan, Uriel or Charon?) and a traditional church kneeler invites you to make obeisance and push open the slider to reveal...a small glimpse of Paradise. It is said that the role of the artist is to reveal unseen truths. I am creating this work, and all the work in this ongoing series, because I often wonder about what lies beyond this mortal life. I question the veracity of those who claim to know, and challenge the authority of monolithic institutions that spin stories and perpetuate myths for purposes of social control and political gain. Follow along with me and the team for the next 62 days by bookmarking this blog or following us on Facebook as we produce this project right up to opening night. And please join us at the Los Angeles Convention Center January 14-18 to see and experience the completed Circus.